Contours Options Elite Review | Is It Right For You? When you are out and about with two in tow, flexibility is key to smooth sailing. The Contours Options Elite offers seven different seating configurations to get your children situated just right for maximum enjoyment for all. 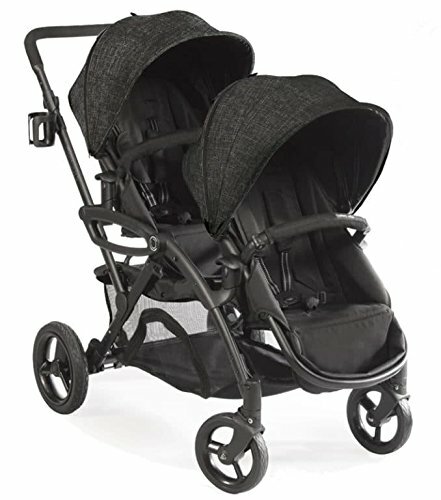 Use one or two car seats on this stroller, which makes it a perfect stroller for twins, and most car seat brands fit. One car seat adapter is included with purchase. I like the seating flexibility. Choose from seven different configurations since both seats are removable and reversible. Then the frame has stadium-style seating, which means that the child in the back seat will still have a great view and you won’t have to deal with fussing and fighting over the front seat. The Options Elite has wonderful front-end suspension and the larger coated rear wheels give a smooth ride and better maneuverability. So far, the Options Elite is getting high praise but there aren’t many reviews out yet because it’s still relatively new. 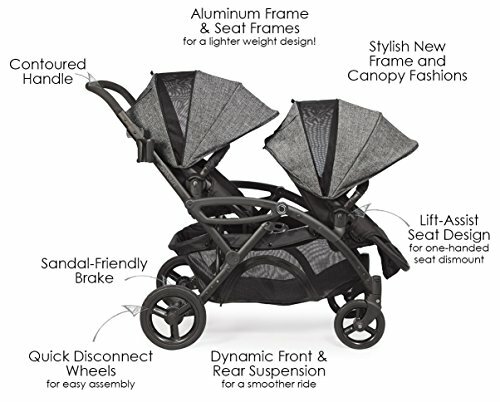 So since it’s just come out, let’s explore this tandem stroller together, starting with the exclusive features. 1 Tell me about all these seating variations! 2 What are the seats like? 3 What are the sun canopies like? 4 How’s the steering & maneuvering? 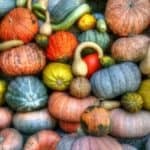 7 What accessories can I buy? 10 Where can I buy the Contours Options Elite? Tell me about all these seating variations! The Contours Options Elite has seats that allow parents to create seven different positions. Children can both face their parents or face each other. They can both face forward to see the outside world during strolls, and they can also sit back to back if they’re fussing with each other. They’ll never be bored with so many options and with the stadium-style seating, nobody gets short-changed on getting a good view. Parents who are preparing for a second baby can use the extra room for storage by using only one seat, making this a single stroller. Then once baby arrives you can attach your car seat with the included infant car seat adapter that can be used as part of a travel system. You will find that the car seat adapter fits most car seat brands including Baby Trend, Britax, Chicco, Combi, Cybex, Evenflo, Graco Classic & Click Connect, Maxi Cosi, Peg Perego, Safety 1st and UPPAbaby. Expecting twins? Congratulations! This is one of the better strollers for twins out there. Prepare by purchasing one more car seat adapter so that you have two. Parents enjoy the flexibility the seating options bring. For younger babies, the seats can be placed facing Mom so that they can see a familiar face at all times. Older children sit face to face to play and talk with each other, or both face forward to enjoy the view during strolls. Wheels: Front 8″ Rear 10″ EVAStroller Weight: 38 lbs. I like the comfy seats on this Contours tandem stroller. The weight limit for each seat is 40 pounds and the seatback is 19½ inches high and seat back to the canopy is 24 inches. Exceptionally tall children may find the seatback too short. The Contours Options LT stroller seats fully recline which allow both kids to enjoy napping peacefully while onboard. Choose from 3 positions; upright, midway and full recline. Do keep in mind that for the two seats to recline fully, both should either face the parent or face away from the parent. Bumper bars are popular on modern strollers and this one has bumper bars instead of child snack trays. Take them off and on easily, or unlatch one side for easy in and outs. The Contours Options Elite might not have a snack tray, but it does have a mesh pocket in each seat for your child’s little snack or cup. You can see it right below the bumper bar in the photo. Both seats come with infant headrest rolls that support a newborn’s head and neck. This is a plus point for many parents, particularly those who have newborn twins or expecting a new baby and may not wish to use a car seat. No more rolling up towels to keep baby’s head from flopping down. Each seat also has a height adjustable 5-point safety harness. See the highest place you can adjust the harness in the photo. The padded shoulders offer comfort while keeping your children strapped securely. Snug as a bug! 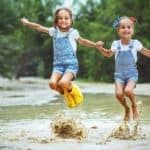 Footrests adjust up or down in three positions give your children proper leg support, especially when they want to have a nap; they can stretch out for a proper snooze. What are the sun canopies like? 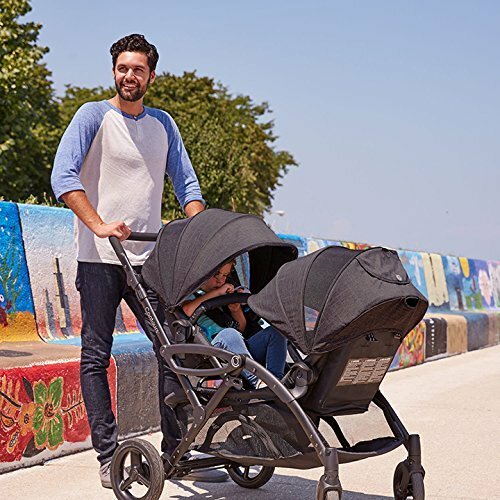 The Contours Options LT stroller has individual sun canopies for each seat that have a zip-out mesh panel to provide extra shade and air circulation. These are big canopies, too – they go all the way down to the bumper bar, as you see in the photo. Plus there are peek-a-boo windows provide adequate shade from the sun and protection from wind. How’s the steering & maneuvering? The stroller is very easy to maneuver since it has a shorter length than most tandem strollers. It is just a bit longer than a standard-sized stroller with a length at 49½ inches, yet it is long enough so that your kids aren’t going to feel cramped. With large 8-inch front wheels and 10-inch rear wheels, the Contours Options LT offers the smoothest rides and maximum comfort for your little passengers. The swivel front wheels allow it to turn at a dime. A recent review from a dad said that he was able to maneuver and turn around without feeling like he was turning a fire truck – even with his two-year-old riding front facing out. He says there are few places he can’t get through that his little single stroller could. These wheels won’t ever go flat, either, because they are made of EVA, Ethylene-vinyl acetate. This material has elastic qualities such as softness and flexibility, yet it is tough, puncture-proof and has stress-crack resistance. In addition, EVA tires maintain its color and sheen, so all these properties make a great stroller wheel! On the Options Elite, the rear wheels are rubber coated, for a better, smoother ride. Linked parking brakes make it easy to stop safely. Step down once to engage, flip the bar back up to disengage. For parents who frequently travel with two different age kids or with twins, this stroller is ideal. It has an easy fold, and the convenient free-stand technology allows the stroller to self-stand. Best of all, you don’t have to remove the seats to fold this stroller, unlike many with interchangeable seats. To fold, make sure that both seats face forward in the upright position. Car seat adapter(s) do not need to be removed to fold. Pull up on triggers on either side of the frame, then push forward. The auto-lock by the rear wheel will engage. Easy breezy! 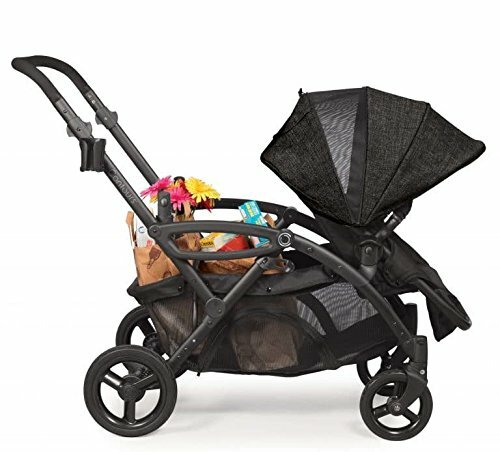 This Contours Options Elite tandem stroller has a large storage basket beneath the seats with zippered side entry for easy access when both your children are seated. The handlebar is just the right height for most adults. And the cup holder. Got to have a cup holder! And the Options Elite’s got it. Customize your tandem stroller with a few of the accessories Contours offers. A popular one to go for is the parent console, which provides a handy place to keep small items such as your smartphone and keys. A zippered pouch holds slightly larger items and has a nice tall bottle holder. It’s gotten mixed reviews, however. Some parents love it and think it works great, but another one says that it swings too much. It is just attached from that loop you see and nothing else. Not doing it for you? Try the Universal Stroller Organizer by Ethan & Emma. It’s pricier, but it has hundreds of high reviews and is a winner of the Parent’s Choice Award. If the mesh pockets inside the seats are not what you prefer for your child’s food and drink items, then you can purchase a snack tray for each seat. Here’s another cool accessory. You know now the cargo basket beneath the seats doesn’t hold that much weight. You can store bulky items in there, but not bags and bags of groceries. Here’s the Contours Shopping Basket. Click it right into the car seat adapter that is included with your purchase and off you go. This basket holds up to 40 pounds and that’s a lot of shopping! Now take a look at this informative customer video review of this fantastic tandem stroller. Parents overwhelmingly recommend the Options Elite and overall feedback has been positive with an average 4½-star rating across several web retailers. The words ‘love it’ is used constantly, both as parents and parents mentioning their children. Several reviews indicate that while this tandem stroller is compact enough for easy maneuvering, it is not so small that their kids are stacked on top of each other. Many parents mention how convenient the seven seating options are. The price was a big plus for many and I agree. The stroller is great value for money. Consumers love the extra coverage sun canopies and how the huge storage basket is big enough to hold shopping bags. They love that zippered side access. Good maneuverability and easy steering were also mentioned in numerous reviews, and that the handlebar is tall enough for comfortable strolling without kicking the rear. The main thing to consider is the weight and bulk. It is 38 pounds and fits alright in the back of an SUV or minivan, but it will likely take up all the trunk space of your average car, but that’s really it for any real disadvantages. Where can I buy the Contours Options Elite? I find that Amazon consistently has the best price so I would recommend trying them first. Now imagine yourself and your kids on your fun trips to the Zoo or out doing errands made much easier. You’ve made the right choice! Zoe Stroller Review: Double Stroller of Your Dreams?